In our monthly column, we ask two reviewers to offer their perspective on the same book. 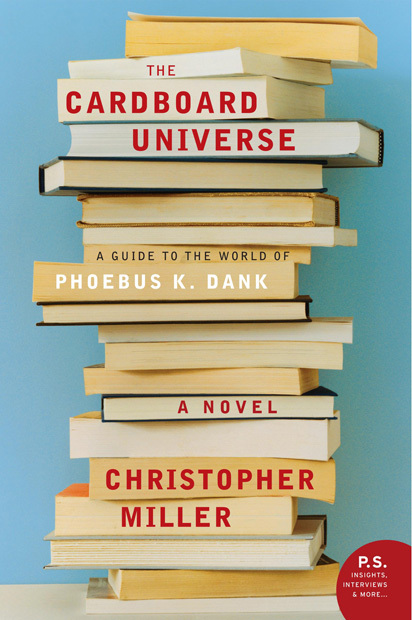 The latest entry focuses on Christopher Miller's The Cardboard Universe. [The book's] purposeful nerdishness is playfully kitschy when it doesn’t work and endearing when it does. But, beneath the myriad layers of deft quips and sincere wit, it is a story of the sad lives of sad men who barely, if at all, survive to tell their tales. ... [Miller's] outstanding imagination and deftness for creating compelling sentences that approach pitiful people at lighthearted angles make The Cardboard Universe an intricate and enjoyable book. While Miller's out-of-the-box structure provides an interesting hook, the novelty fades over the course of 500-plus pages of failed marriages, suicide attempts and absurd book ideas. ... The book doesn't necessarily provoke as much as it merely entertains.